stickboybike: No such thing as bad weather, just bad horse poo. No such thing as bad weather, just bad horse poo. The winter season brings gusty days and bitter wind to my area every year. We really don't have a normal winter in the sense of gray days and snow accumulations in which to remind us of the season. Rather a 'harsh' fall season has replaced the normal winters with temps in the 30s and little to no snow to speak of. I set out to ride through the winter months after taking the month of December off to chill with the family and get some needed rest. Since the move to the new house, I've realized that things get a whole lot messier when riding through the occasional rain shower or riding after the rain has stopped and the roads are still wet. I'm living in a part of the county where the Amish farms are everywhere versus the western end where there was probably a quarter the amount of farms. This means when the showers come through, all that horse manure from the buggies puts a lovely film of brown on you. To combat that, I bought fenders for the bike. 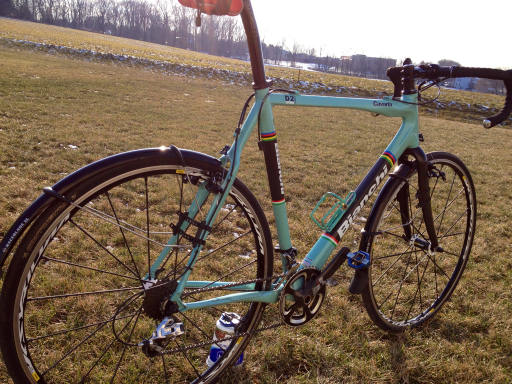 SKS makes a variety of fenders for what seems like every bike/ tire size application. 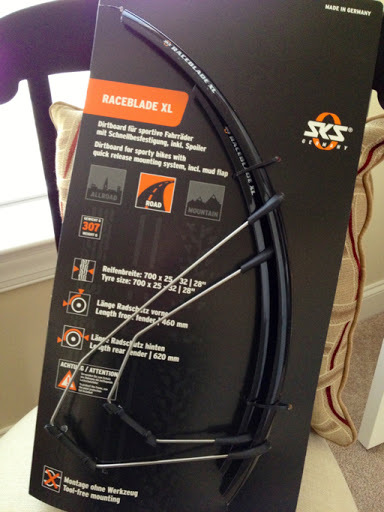 Using the 'cross bike as a means of motion, I bought the Raceblade XL in black. Installation is very straight forward. 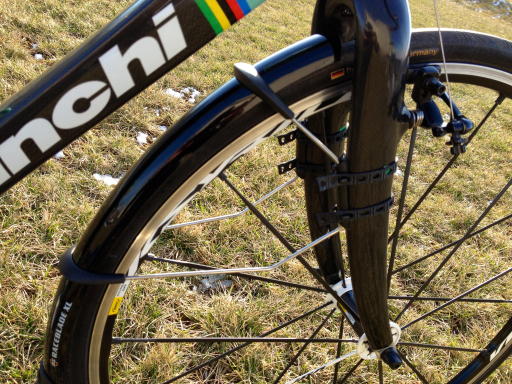 You snap on the rubber end flaps and use the supplied bungee straps to secure the brackets to your seat stays and fork. There's extra straps in the kit incase one dry rots and/or snaps. 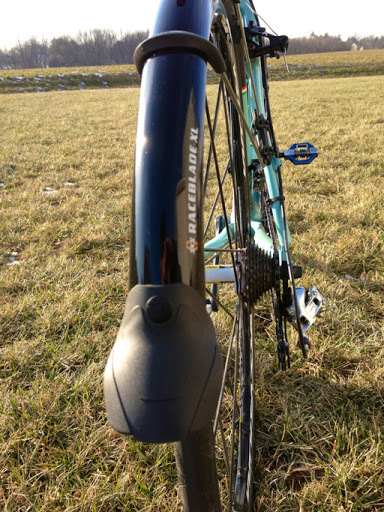 The arms which cradle the fender edges are adjustable, just requires a bit of the Kung Fu grip to carefully slide the supports to the point where the fender follows the profile of the tire. I'm really impressed by the quality of the brackets and fender material. 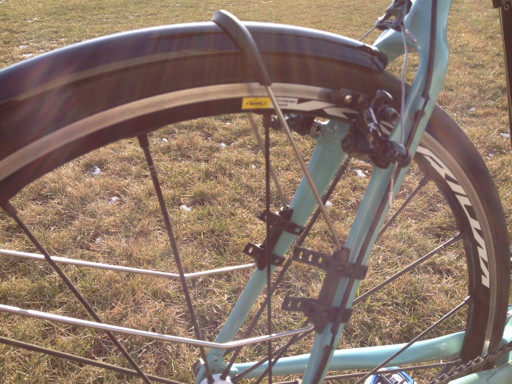 So far the miles I've logged with the fenders have proved themselves to be carefree. After bounding down many a pot holed farm lane and one extremely windy ride which saw gusts in the 30mph range, the fenders have stayed put. No slipping or annoying buzzing on the frame to date. Next review, the new winter riding jacket.